On January 31, 2016, last day of month, we had our week 4 of 16 weeks full marathon training group runs. 9 runners participated for our 12-miler. Cool weather, gravel and pave trail paths, and out-and-back loops. Come join us and it is never too late to make a better you! Thank you to Noosa – Finest Yoghurt (Jean W.), smartypantsvitamins.com (Andrew K.), and brazenracing.com (Jasmin & Sam) for their supports! Happy running! On January 30, 2016, last weekend of the month, we ran our week 5 of 12 weeks half marathon training group run. Great running weather and sunny for once. 39 of our runners came out and got their 6-miler done as well as had a chance to run through vineyard paved path. We had one water station, 4.8-miler turnaround point, and sweeper to ensure everyone got back safely. Our runners were very appreciated for the water at the top of the hill! First time runners continued to join our group run. So, it is never too late to make a better you! Thank you to Noosa – Finest Yoghurt (Jean W.), Runliv.com (Kristel A. ), smartypantsvitamins.com (Andrew K.), Robert Lee, our group runner, donated Cliff Bars, and Kiyoko collected recyle foil wrapper for their supports! Happy running! On January 24, 2016, We had our week 3 of 16 weeks full marathon training group runs. 12 runners participated for our 10-miler. Cool weather, gravel and pave trail paths, and couple of out-and-back loops. We tried to help a mivan that got stuck in the mud along the trail. Come join us and it is never too late to make a better you! Thank you to Noosa – Finest Yoghurt (Jean W.), smartypantsvitamins.com (Andrew K.), and brazenracing.com (Jasmin & Sam) for their supports! Happy running! 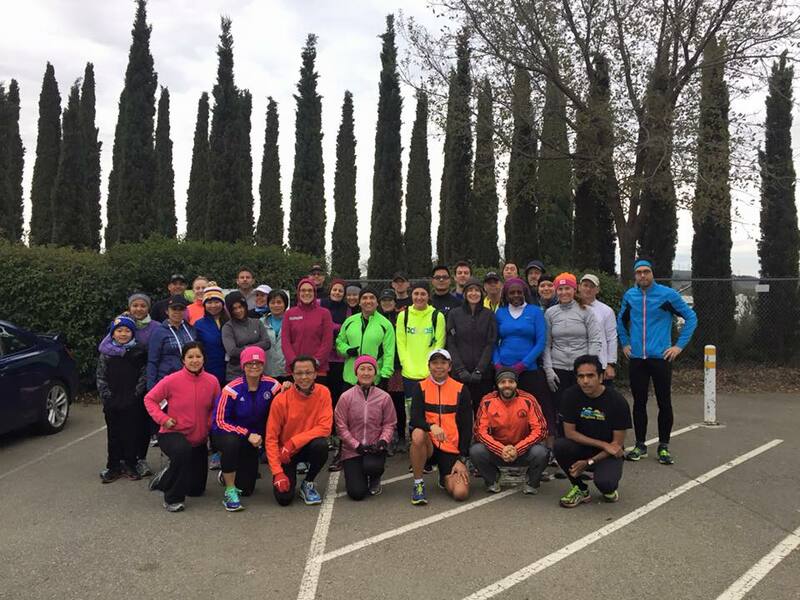 On January 23, 2016, we ran our week 4 of 12 weeks half marathon training group run. It had been raining off and on throughout the week and again it rain overnight. Thank goodness there were no rain when we started our group run. 29 of our runners came out and got their 5 miler done. It was the same 5 miler loop as last week and our runners greeted by the rainbow at the end of their run. We also have first time runners joined our group run. So, it is never too late to make a better you! Thank you to Noosa – Finest Yoghurt (Jean W.), Runliv.com (Kristel A. ), smartypantsvitamins.com (Andrew K.) for their supports! Happy running! WOW! This is exciting news and thank you Bob Anderson and Double Road Race chose our pacers as their FB Profile Photo. It means a lot to me and our pacers. On January 17, 2016, We had our week 2 of 16 weeks full marathon training group runs. 6 participants signed up but 13 runners showed up. Cool weather, gravel and pave trail paths, and one loop around the lake before we complete our out-and-back for 8 miler. Come join us and it is never too late to make a better you! Thank you to Noosa – Finest Yoghurt (Jean W.) for their supports! Happy running!Happy running! 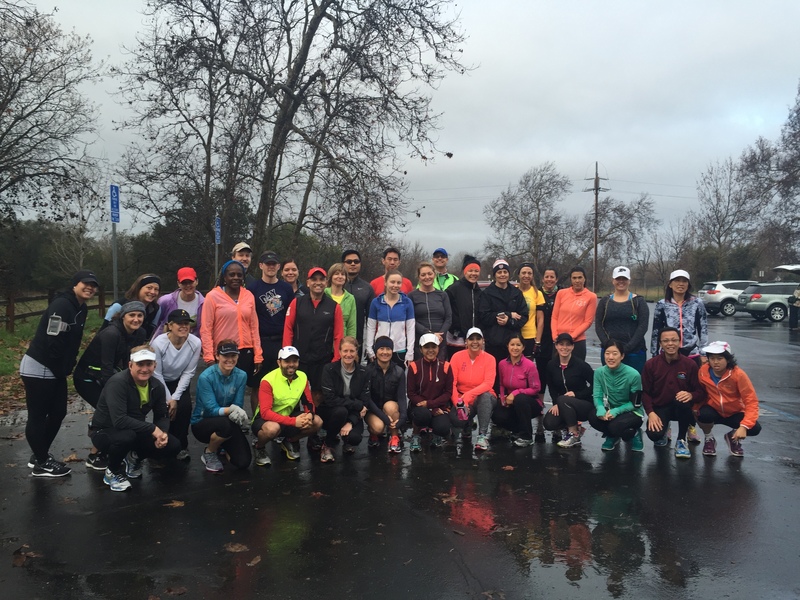 On January 16, 2016, we ran our week 3 of 12 weeks half marathon training group run. It rain overnight and no rain when we started our group run. 35 of our runners came out and got their 5 miler done. Our runners got a chance to hit the first hill of Livermore Half Marathon route. We have many beginner runners as well as first time runners joined our group run. So, it is never too late to make a better you! Thank you to Noosa – Finest Yoghurt (Jean W.) and Runliv.com (Kristel) for their supports! Happy running! 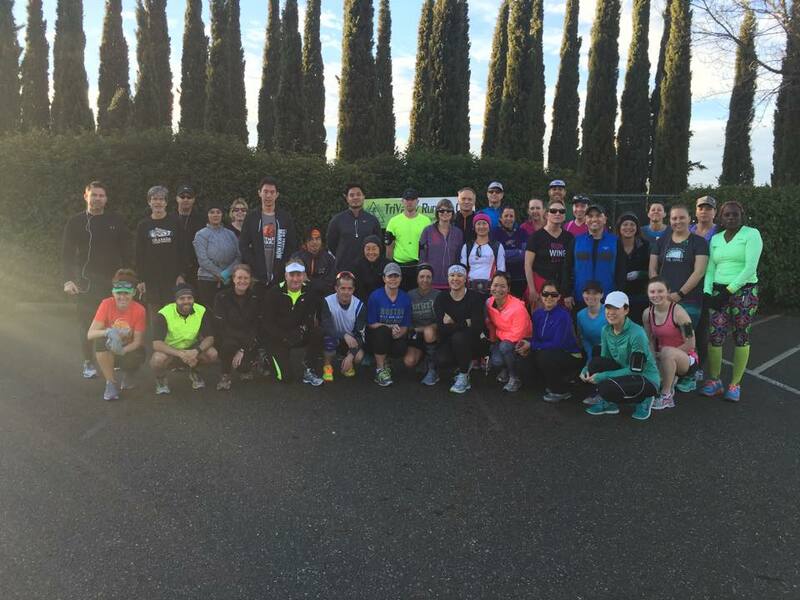 On January 10, 2016, we kicked off our week 1 of 16 weeks full marathon training group runs. 7 participants signed up but 11 runners showed up and started their awesome 2016 resolution. Cool weather, gravel and pave trail paths, and a cold morning for warm sunshine toward end of our 6 miler. Just like that, week 1 is done! Come join us and it is still not too late to make a better you! Thank you to Noosa – Finest Yoghurt (Jean W.) for their supports! Happy running!Happy running! 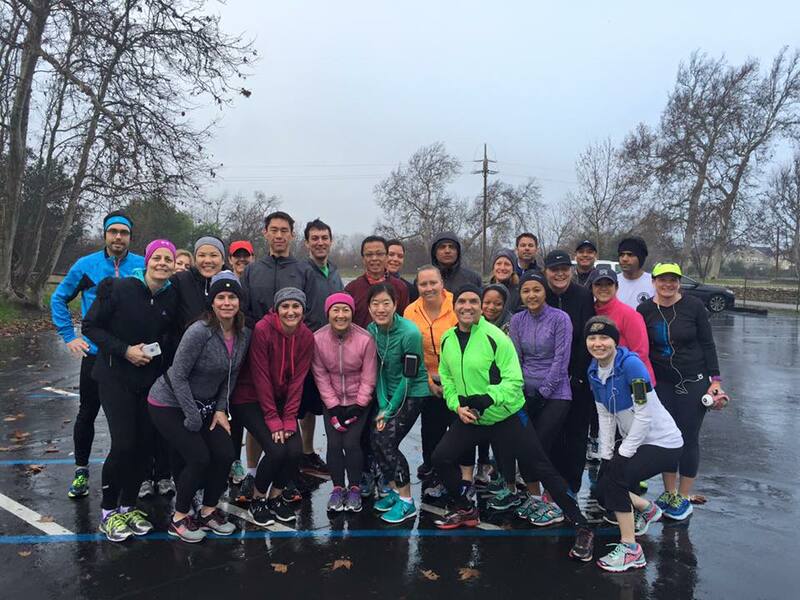 On January 9, 2016, we ran our week 2 of 12 weeks half marathon training group run. Although the weather was calling for rain, 26 of runners came out and got their 4 miler in the book! Cool weather, no rain, and we got it done. Come join us and it is still not too late to make a better you! Thank you to Noosa – Finest Yoghurt (Jean W.) and Runliv.com (Kristel) for their supports! Happy running! 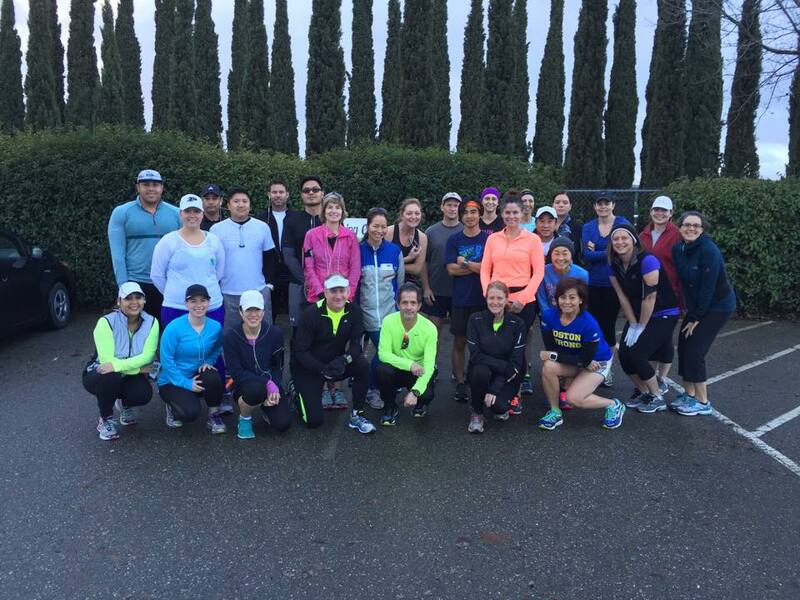 On January 2, 2016, we kicked off our week 1 of 12 weeks half marathon training group runs. 30+ runners started their awesome resolution. Cool weather and just like that, week 1 (4 miler) is done! Come join us and it is still not too late to make a better you! Thank you to Noosa – Finest Yoghurt (Jean W.) and Runliv.com (Kristel) for their supports! Happy running!Happy running!